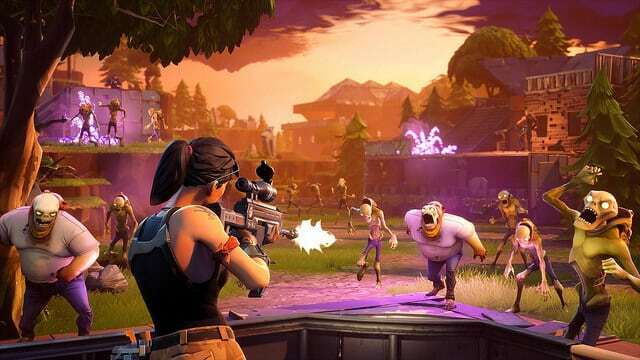 The success of Fortnite owes much to the cross-patform availability as well as its cross-platform play functionality. This allows players on different devices to play against each other. Cross-platform play is available between PC and various consoles. Whilst Nintendo and Microsoft have also joined up their console cross-play. However, up until now keen gamers have been unable to setup cross-platform play between the world’s two biggest selling games consoles. Fortnite cross-platform play between PS4 and Xbox has so far been unavailable. Don’t hold your breath for it either. Microsoft already has the infrastructure in place for cross-platform play with other consoles. Xbox chief Phil Spencer has already expressed his desire for PS4 and Xbox players to be able to play together. However, thus far Sony has shown no interest in engaging with the competition. Until now, Sony have insisted that the PS4’s lack of cross-platform play is a matter of Sony wanting to keep its players safe. However, John Smedley, the former president of Sony Online Entertainment says it comes down to money. Smedley stated in a tweet that he didn’t like the idea of someone buying something on Xbox and using it on a Playstation. In a recent statement , Microsoft has made it clear that Sony is the only thing holding Fortnite back from having PS4-to-Xbox play. Given that even Nintendo is supporting cross-platform Xbox play, will Sony need to get with the times to stay relevant, or will their desire (as the current market leader) to keep as many gamers as possible on PS4 backfire in the long run? Featured image via Flickr (released under the Creative Commons License) BagoGames – Fortnite Early Access Impressions.